For pet owners who love our bags and want a choice between a lavender scent and fragrance-free option. 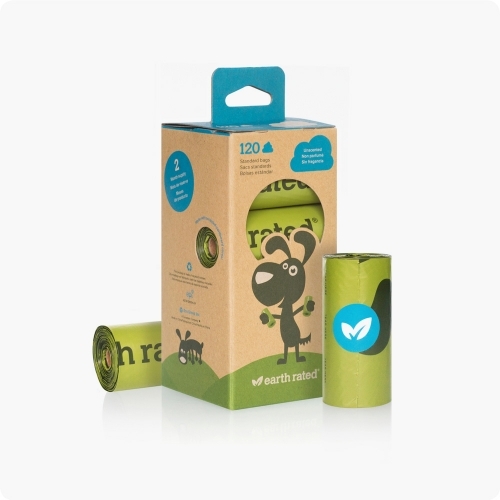 This refill pack includes 8 rolls of 15 bags which can be used on their own, or with our cute green dispenser. These bags are easy to open and detach from the roll, while still being extra thick and tough! Also available as individual rolls included in dispenser.